Chillies are attractive and are grown widely across the country. 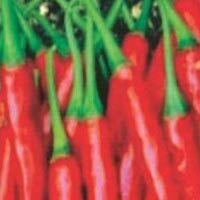 We are well known Breeder, Producer and Supplier of Hybrid Chilli Seeds in Bangalore, Karnataka. 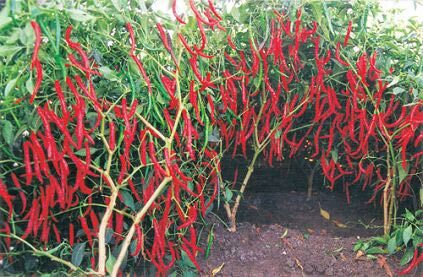 We believe in breeding and producing quality hybrid seeds to increase productivity with assured quality. 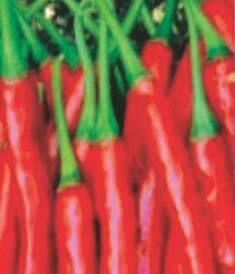 We also work to develop disease resistant variety in chillies and provide the same to farmers at affordable rates. The services offered by us feature high quality and we also cater to bulk deliveries. Plant : Plants are strong, vigorous, bushy in habit, small daerk green foliage and well branched. Heavy bearing capacity. 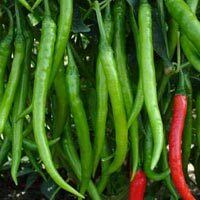 Fruit : Fruit is dark green, smooth, thin walled and uniform medium size cylindrical green fruit length 10-12 cm, diameter 1-1.5 cm, tight fruit and weighs 4-5 gm. 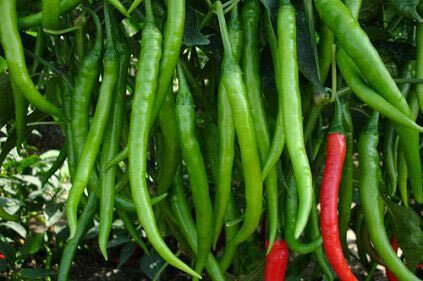 Good pungency, ideal for green harvest, green fruit are veryu attractive, suitable for long distance transport. Fruits are compact, less damage during packing and transportation. All Rights Reserved. 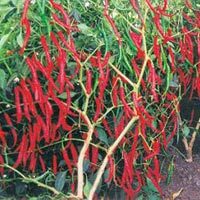 Shresta Seeds Pvt. Ltd.